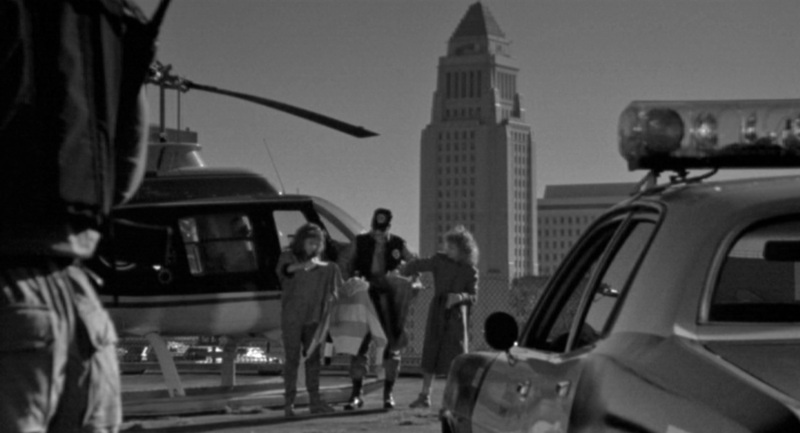 Night of the Comet is a science fiction film released in 1984 that was written and directed by Thom Eberhardt. It tells the tale of eighteen year old Regina “Reggie” Belmont and her sixteen year old sister Samantha “Sam”, who are some of the very few survivors from a catastrophic event that occurs when Earth passes through the tail of a comet – something which has not occurred for 65 million years and which it is implied in the film previously may have caused the extinction of the dinosaurs. The population of the world gathers to watch the cosmic light show but some undisclosed effect from the comet reduces all who are exposed to it into either a reddish dust or turns a small number of them into zombie like mutants. Regina and Samantha survive because they were protected within steel structures; one of the sisters was spending the night with her not-quite-boyfriend in the shielded projection room of the cinema where she worked, while the other had escaped from an argument with her stepmother which had turned nasty by spending the night in a steel shed in their backyard. In the post-catastrophe world as the sisters move around stilled and quietened city roads and buildings they must deal with the zombies, a psychotic gang and members of a scientific think tank which aims to use them as mere biological livestock in order to produce a serum which they hope will save themselves from mutating or crumbling into dust. It has been called a low-budget cult film and a B-movie, which may well cause the casual observer to bracket it with generic exploitation fare but this is something much more uniquely characterful. And while it had a then relatively low-budget of $700,000 this was not a purely niche straight-to-video release; in America it came third at the box office in its opening weekend, stayed in cinemas for six weeks and took approximately $14.4 milion ($35 million today when adjust for inflation). Although featuring zombies and a fair degree of action it is refreshingly, if not gore free, then at least gore light, something which if the film was made today as a low-budget genre film one can only begin to wonder how potentially gratuitous that aspect would likely be. 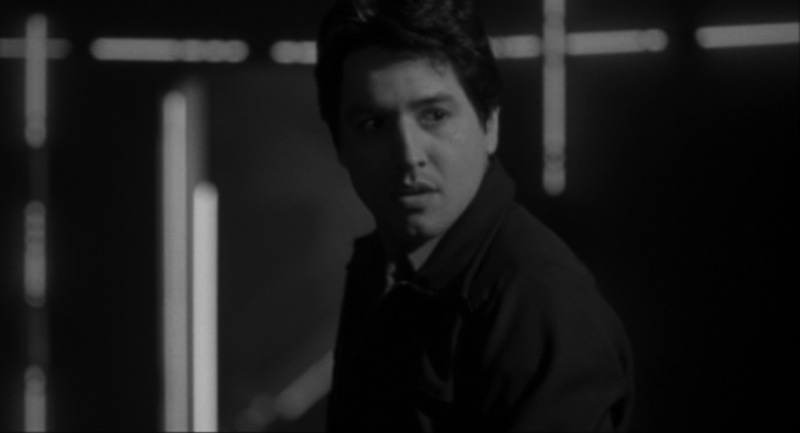 The film sits amongst a fairly large number of apocalypse, potential apocalypse and post-apocalypse orientated fictional cinema and television films/dramas produced in the 1980s that often took the more grimly realist route of considerations of generally Cold War related conflict such as The Day After (1983), Threads (1984) and Z for Zachariah (1984) or the “warriors fighting for survival in the post-apocalyptic desert” likes of Mad Max 2, The Aftermath (1982) and Steel Dawn (1987). 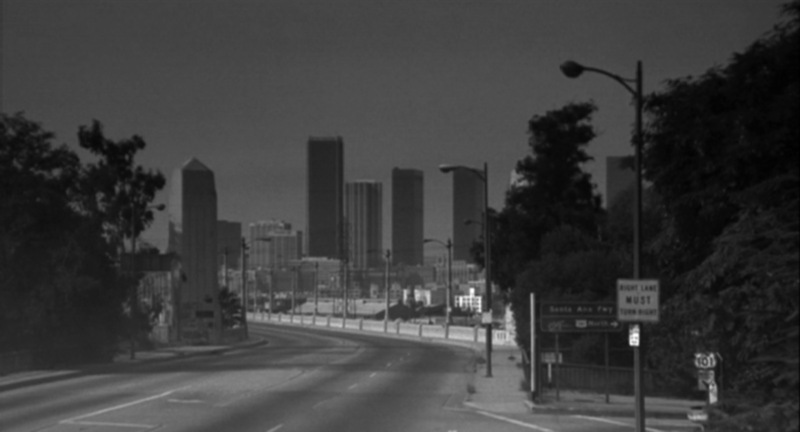 It also belongs to a subset of a wider apocalypse genre which could be called the “Empty City” film, which Thom Eberhardt has said he intended it to be a tribute to. However in many ways it is closer to 1980s films which dealt with the trials and tribulations of teenage life such as Valley Girl (1983) and Tuff Turf (1985) and here the post-apocalyptic world is presented in a relatively light-hearted banter filled manner. 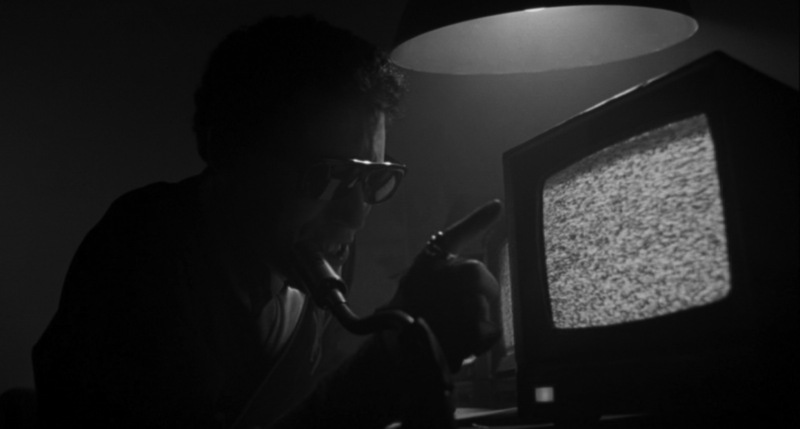 The catastrophic occurrence via a comet induced cosmic light show is a fairly overt nod towards similar events in the 1962 film adaptation of John Wyndhams’s book The Day of the Triffids (1951), while it also goes on to reference both the shopping mall set zombie film Dawn of the Dead (1978) and the “last man on Earth” and empty city aspects of The Omega Man (1971) amongst others. 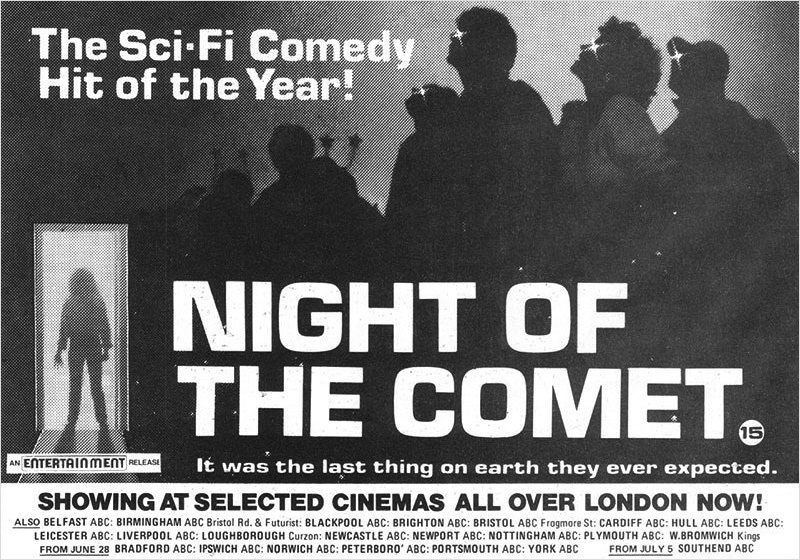 However Night of the Comet is a quite unique blend of science fiction, horror, teen movie tropes and humour without dissolving into overt campness and this blend along with its inclusion of strong and respectfully portrayed female characters makes it a film all of its own rather than being purely pastiche. 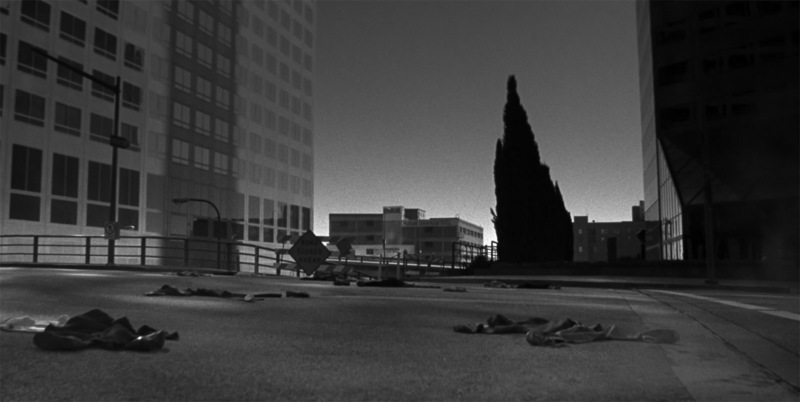 Visually it is quite distinctive; a plethora of neon abounds throughout the film (one of the credits lists quite simply just Neon: Richard John Jenkins) and there is a certain beauty and calm to the empty city highways and skyline, which are filmed through the haze of coloured filters to show the after effects of the comet’s passing. In contrast to much of genre and exploitation film the main female protagonists are not depicted as helpless females but rather they can hold their own against the attacks and challenges that come their way. Regina in particular seems perfectly capable of physically defending herself in a manner that both preceded and has been said by Buffy the Vampire Slayer (1992 and 1996-2003) creator Joss Whedon to have inspired his creation of that film/television programme’s rather combat capable and far from meek Buffy Summers. At the same time in Night of the Comet Regina and Samantha do not descend into being unassailable Amazonian warrior women cliches – they are portrayed as ordinary women with day-to-day interests who show their bravery and resilience in extraordinary circumstances. And when the going gets tough, the tough go shopping; cue a visit to the now unstaffed shops to try on the latest fashions and a classic style movie shopping montage all to the tune of Cyndi Lauper’s 1980s hit pop single “Girls Just Want to Have Fun” (albeit a cover version – this is a low-budget film after all). Cue them arriving at the obvious destination – the shops. To be continued in Part 2. 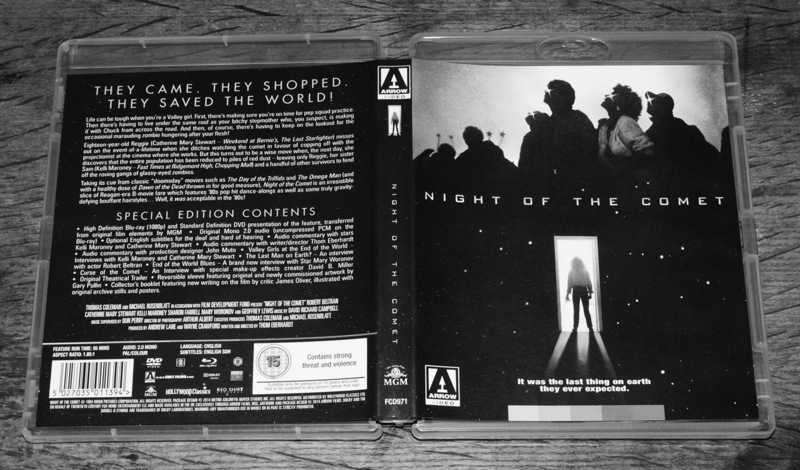 Night of the Comet blog site. Night of the Comet trailer.